I always have a soft spot for boutique hotels. For the most part, they don’t pretend to be the high-end, upscale resorts, yet they are always equipped nicely for a comfortable stay. I have nothing but words of praise for The Dorchester Hotel (member of the Best Western chain of hotels). I arrived there tired from almost 2 weeks of writing and travelling and I found a really clean room, very, very spacious (actually I think substantially more spacious than the Grand Pacific Hotel I stayed in for JT’s birthday in November 2010). 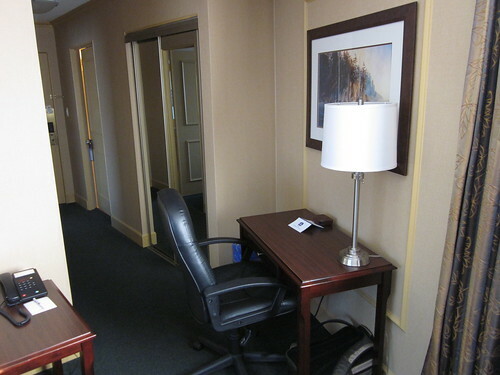 I was particularly impressed with the distribution and separation of rooms (the living room could very well hold a small meeting if you were on a business trip) and the very spacious separate bedroom in within the suite. While the Dorchester Hotel doesn’t have in-suite kitchen, they do have a small fridge, kettle for tea and a coffee maker. And lots of space to work, as well as a separate desk area with lots of power plugs. The internet is free and rather strong, so it’s very good to spend a full day writing, as I did. Overall, it was a fantastic hotel to stay in, and I have nothing but words of praise for the staff. While I didn’t get to check the restaurant on site, I’ve been told it’s pretty good. And the great thing about the Dorchester Hotel is that it is very close to the Nanaimo Old Quarter and downtown core and harbour areas. I will definitely recommend it. 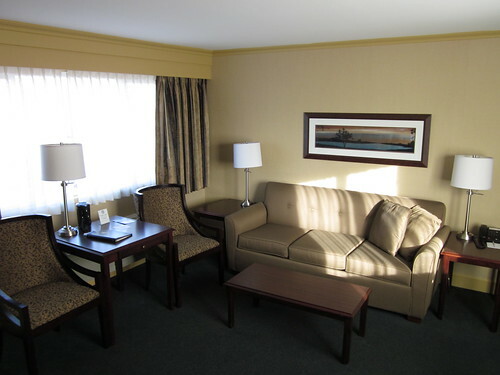 Disclosure: My stay at the Best Western Dorchester Hotel in Nanaimo was sponsored very generously by the hotel as part of my recent Vancouver Island writing retreat (which included stops in Victoria, Courtenay/Comox, Nanaimo and Parksville/Qualicum Beach). I covered every other single expense I incurred during this travel, including (but not limited to) breakfast, lunch, dinner and transportation (except when explicitly indicated). I wasn’t paid to write this review, nor was I required to do so either. 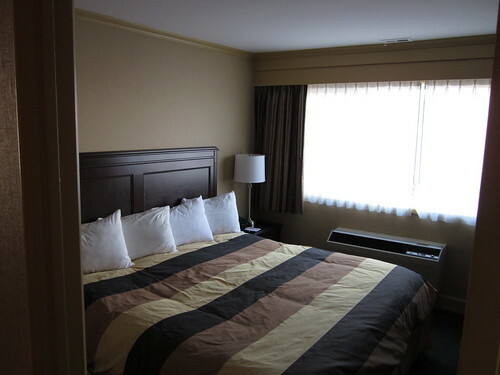 The purpose of this blog entry is just to describe my experience at the hotel. In any review I write or publish on my site, I retain editorial control at all times. Should you have any questions/concern feel free to contact me via e-mail through my contact form.